On Monday, the law firm Ropes & Gray released its 252-page report into the institutional failures that enabled Larry Nassar’s decades-long abuse of women and girls in his role of USA Gymnastics physician. The investigation, which was commissioned by the board of the USOC in February 2018—more than a year after the first allegations against Nassar were made public and after more than 100 women spoke about their abuse at the former doctor’s sentencing—does not paint a pretty picture. “These institutions and individuals ignored red flags, failed to recognize textbook grooming behaviors, or in some egregious instances, dismissed clear calls for help from girls and young women who were being abused by Nassar,” the report states. 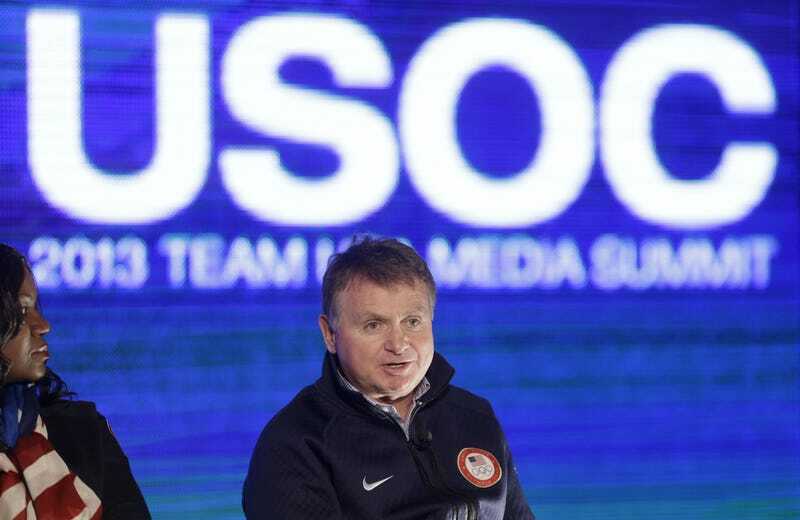 Some of the villains of the story—former USA Gymnastics CEO Steve Penny and former USOC CEO Scott Blackmun—have already resigned their posts. (Penny was indicted in October on charges of evidence tampering for ordering the removal of medical files from the national team training center at the Karolyi Ranch.) But the Ropes & Gray report reveals that at least one other high ranking official at the USOC was made aware of the allegations against Nassar and failed to act—Alan Ashley, the current USOC chief of sport performance, learned of allegations against Nassar in 2015, just as Blackmun did. Thirteen months elapsed between the time that USA Gymnastics and the USOC learned about the allegations against Nassar and the publishing of Rachael Denhollander’s account of her abuse in the Indianapolis Star. It was the Star article (and Denhollander’s report to MSU police) that stopped Nassar’s abuse, not the actions of either institution. Mr. Blackmun and Mr. Ashley also each deleted from their respective email accounts the one email referencing Nassar by name that Mr. Penny had sent to the two of them in September 2015. Further, in early 2018—long after the Indianapolis Star had publicly exposed Nassar—Susanne Lyons, then a board member at the USOC and soon to become the organization’s acting CEO, sent an email to Mr. Blackmun conveying her understanding that, prior to publication of the Indianapolis Star article, Mr. Buendorf was the only person at the USOC who had known that Nassar was the alleged perpetrator. Mr. Blackmun failed to correct Ms. Lyons’s clear misunderstanding. He failed to explain to Ms. Lyons not only that he and Mr. Ashley had been the first to know of the allegations, but also that Mr. Buendorf, promptly after learning of the allegations from Mr. Penny, had dutifully reported those allegations to Mr. Blackmun. In all, investigators spoke to 60 employees of USA Gymnastics, the U.S. Center for SafeSport, and the USOC; they also spoke to more than 100 witnesses, including survivors, former gymnasts, and victims of sexual misconduct in other sports. Among those they interviewed was Penny, who declined to answer any questions about removing files from the Karolyi Ranch, and Blackmun. The list of people who declined to participate is also quite long. Martha and Bela Karolyi didn’t speak to investigators. Fran Sepler, the workplace harassment expert who USAG contracted to do the initial interviews with Maggie Nichols, Aly Raisman, and McKayla Maroney before the organization reported the allegations against Nassar to the authorities, responded to investigators with a written statement. Debbie Van Horn, the trainer who worked alongside Nassar for many years and was indicted on assault charges, also declined. Jack Swarbrick, former counsel to USA Gymnastics who advised the organization on sexual abuse matters and current athletic director at Notre Dame, was also a no-show. Retired FBI Special Agent Jay Abbott, who Penny first reported the allegations against Nassar to, didn’t talk to the investigators. (A New York Times article revealed that Penny had discussed a possible security job for Abbott after his retirement from the FBI. This was viewed by many as an attempt by the former CEO to influence the FBI’s investigation into Nassar. Whatever the reason, it took more than nine months for the Bureau to open a formal investigation into the doctor.) Brooke Lemmen, a former MSU doctor who removed patient files at Nassar’s request after the first allegations against him were made public, also didn’t sit for questioning. And of course, Nassar didn’t help out either. Update (5:18 p.m. EST): The USOC fired Alan Ashley.